HP has announced a new selection of desktops and laptops that, it claims, are up to 45 per cent more efficient. The company also boasts that the new machines' power supply is an impressive 80 per cent more efficient. But it's not only the environment that HP wants the new machines to benefit. The models are aimed at the increasingly cost-conscious business market. The HP Compaq dx2250 (£229) and HP Compaq dx2300 (£319) desktop PCs might feature Athlon 64 X2 and Intel Core 2 Duo dual-core processors respectively, but HP is talking up the "lower cost of ownership" of the machines. 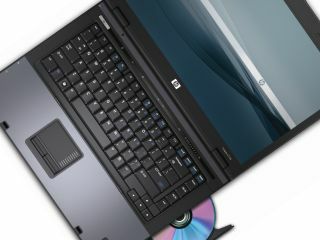 The company is taking the same line for its HP Compaq 6715s (£641) and 6715b (£928) notebooks. Both feature AMD Turion 64 X2 dual-core mobile processors. Like many other vendors, HP is continuing to offer Windows XP alongside Windows Vista for the new machines. We have reported previously on HP's plans to slash its energy usage by a fifth by 2010, both in the products it makes and internally at the company. It is also aiming to develop more energy-efficient servers and printers, and to cut server power consumption by 50 per cent and printer power consumption by 30 per cent - reducing them to 2005 levels - by 2010. Internal energy use at plants and offices will also be slashed by 15 per cent, taking it to levels similar to those in 2006.